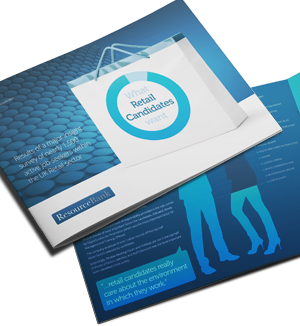 ResourceBank is delighted to publish the inaugural ResourceBank Retail Candidate Insight Survey which has been designed to give Employers a unique insight into candidate needs, wants and behaviours. It also provides a clear ranking of the most attractive companies in each sector from a candidate perspective – and will offer the ability to benchmark this attractiveness in future years. The research was undertaken during July, August and September 2015 with more than 30,000 active candidates within the retail sector asked to complete an on-line survey. Nearly 1,500 surveys were completed, providing a large data set from which to base the research results.